This a versatile ultra-light leave in styling cream is non-greasy and eliminates frizz while it conditions and hydrates. When used alone, it adds shine, definition and texture while providing flexible hold for any style. 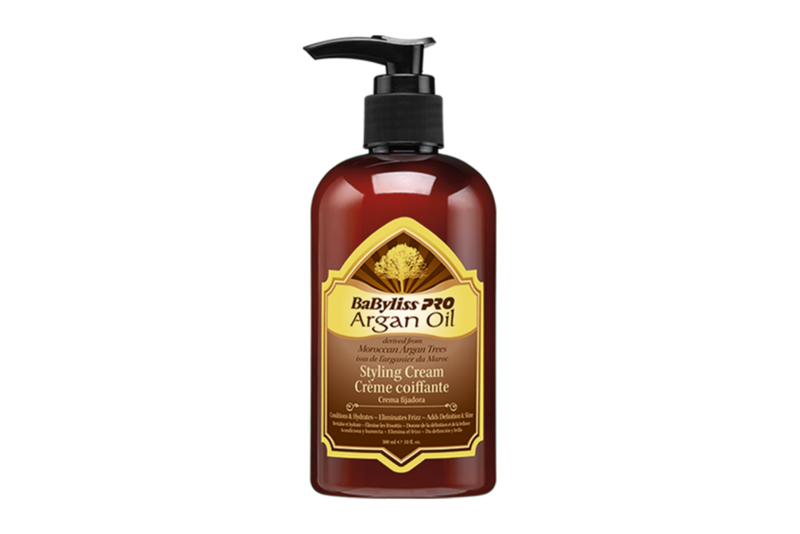 Combined with BaByliss PRO® Argan Oil Treatment, it can be used on thick, unmanageable curly hair to create a straight and smooth look with incredible texture.